Insert: tall evergreen trees, dark shadowy water, fresh air, the smell of burning wood, Christmas lights. This is Lake Placid during the winter, and it was everything we were hoping for and more. We planned this little Christmas family getaway (in lieu of gifts) with a couple of simple things in mind: winter wonderland-esque and #flannelsandbourbon vibes. Despite an uncharacteristically warm upstate New York winter, we craved a cozy, no-fuss weekend in a snowbird town with fun winter activities. While it may have been more picturesque if it had been snow-covered, the area is still breathtaking in parts and quaint and adorable in others. We had another fantastic experience using Airbnb. Our place was cozy but could sleep our whole gang, and it had beautiful views of Lake Placid and the backside of White Face Mountain. We spent our days exploring the area and checking out the local shops, and we spent our nights cozying up with dinner and cocktails at various places—a couple dimly lit hideaways, as well as a couple more luxurious inns and lodges. We loved Liquids and Solids for its adventurous and well-executed menu. The cauliflower wings were, mmm, better than any chicken wings I’ve ever had, and my scallops and lentils were perfect. The Lake Placid Lodge and White Face Lodge are both can’t-miss. 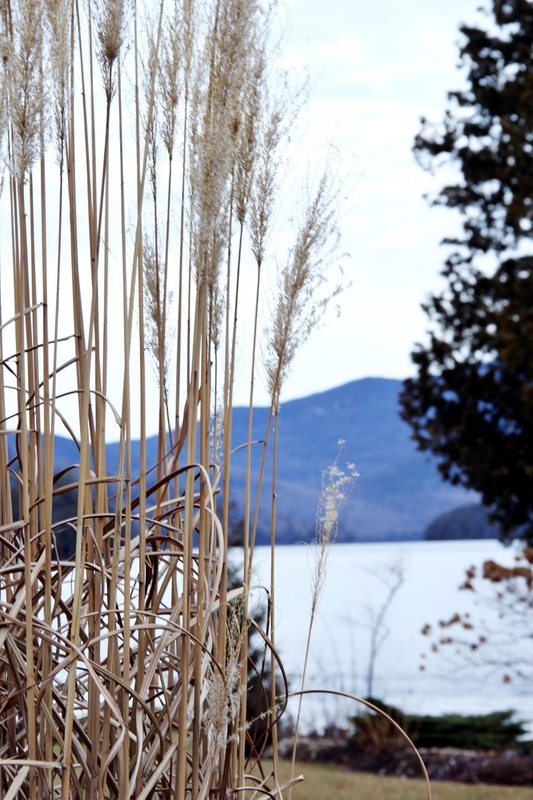 Every square inch of the Lake Placid Lodge is curated with artisan-executed Adirondack decor. It’s a true feast for the eyes (and mouth—we had incredible cocktails like a rosemary gin fizz and wintery blueberry mojito), with beautiful and unique artwork, paint colors, furniture, and rugs. And for the most beautiful Christmas decorations and warmest atmosphere, snag a couch by a fireplace in White Face Lodge. It is a plush log cabin of sorts, on steroids. It was here we had red wine and Old Fashioneds, as well as some killer truffle salt French fries with cheese curd and pancetta. We also went ice skating in homage to the 1980 Olympics and also homage to never really having been taught how to ice skate. How uncomfortable is ice skating if you don’t know what you’re doing? Suddenly everyone is a bow-legged T-rex, and there’s nothing cute about it. But it was so much fun! I love trips that make me appreciate living in upstate New York, with such incredible beauty and range in scenery so close by. We're already scheming to make this trip an annual one, or at least a trip of the wintery-getaway nature.